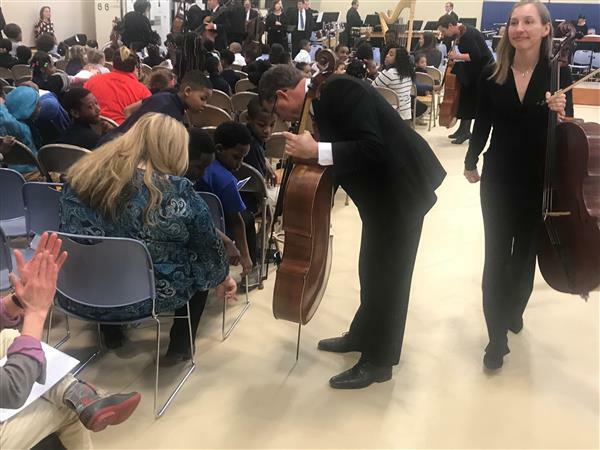 Businesses and Civic Groups looking to support the Cleveland Metropolitan School District or build a relationship with a specific school will find the Office of Special Projects and Student, Family and Community Engagement ready to assist. CMSD has many established school programs that your organization can become a part of. 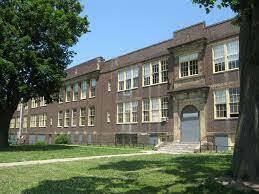 Or, if you have an inspired idea, we can help you navigate the Cleveland Metropolitan Schools infrastructure. 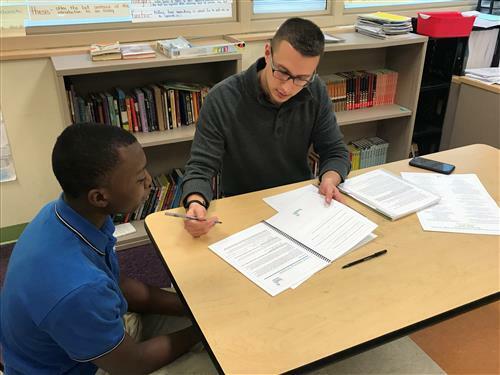 In an effort to better serve its students, CMSD is seeking proposals from qualified individuals, organizations or businesses that promise to deliver significant results on the most pressing issues facing Cleveland schools, must serve to promote student, family and community engagement and provide CMSD students with enhanced educational opportunities and resources that will prepare them for success in the 21st century. 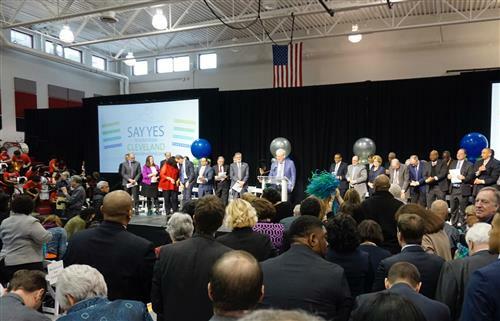 1/18/2019 -- Cleveland has been become the fourth chapter of Say Yes to Education, a historic development that will bring college scholarships to CMSD students while also providing services designed to keep them on track to graduation. 1/16/2019 -- City Year Cleveland corps members will honor the legacy of Dr. Martin Luther King Jr. on Monday by beautifying CMSD’s Alfred A. Benesch School. Each year on the holiday named for King, the nonprofit passes on the opportunity to take a day off. Instead, staff spend a “Day On Service” devoted to a community project. 12/21/2018 -- A special needs student at Sunbeam was missing school because weather conditions often made it too treacherous to leave the house. His family could not afford a proper ramp to get him in and out of his home, and in Cleveland weather, that meant staying inside was sometimes the only option. 12/18/2018 -- Students who are hustling to class in the morning at 13 schools will be able to eat breakfast on the run, compliments of the Cleveland Browns and the American Dairy Association. 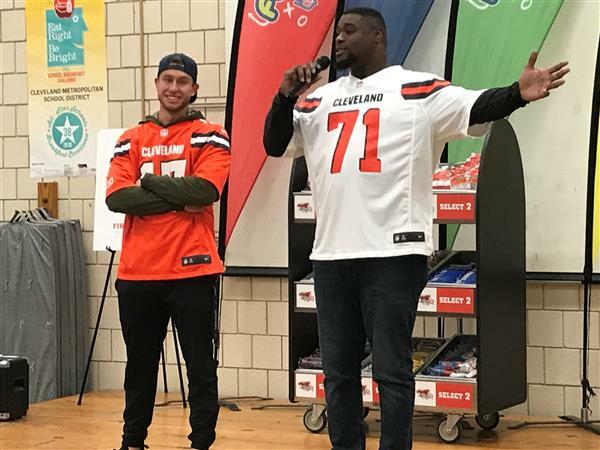 The Browns and the ADA, partners in the Fuel Up to Play 60 program, each awarded $10,000 to the District for “grab-and-go carts” that will be stocked with 17 packaged items like cereal bars.